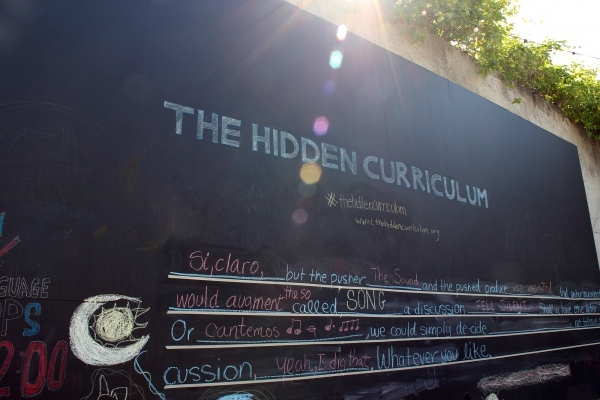 The Hidden Curriculum is a project developed by a working group of CUNY (City University of New York) organized by Paul Ramirez Jonas. Understanding translation and language in a broadest and creative way the project proposes two ways of translation. First, turning written texts into spoken and performed words and secondly, translating the original texts into colloquial English. 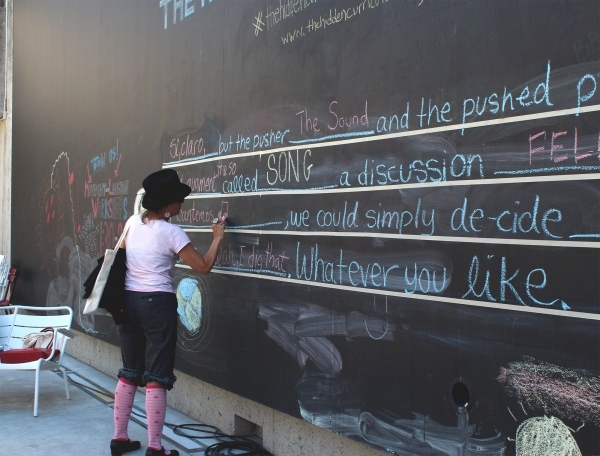 At the Oakland Museum Of California as part of Open Engagement 2016, The Hidden Curriculum invited the public to translate three texts, Lecture of Nothing by John Cage, Love as the Practice of Freedom by Bell Hooks, and On Exactituded in Science by Jose Luis Borges. The project was funded by the grant from the Mellon Foundation through the Center for the Humanities of the Graduate Center, and in alliance with SOMA in Mexico City.